When Scheduling Manager, an all-in-one management software for plumbing businesses, is running on your desktop computer or cloud service, plumbers don’t miss their appointments and your customer service is always first class. Richard Kirby, a Certified Management Consultant, succinctly names the three biggest challenges for a small business: 1) people, 2) finances, and 3) time. 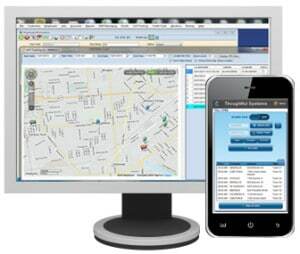 A good business software solution tracks the performance of each plumber while helping to address their shortcomings. Second, financial reporting, billing and payroll features are central to any business operation. Last, but certainly not least, is finding the time to administer the business, delegate responsibility and hold yourself and others accountable. 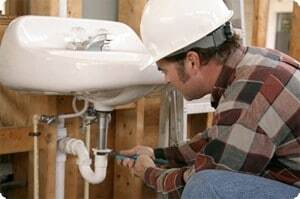 With Scheduling Manager software for plumbing businesses, task are done on time and clients are billed properly, keeping your customers happy and your workflow efficient and organized. 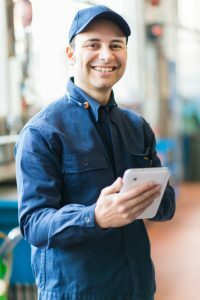 Plumbing business software can help with time management because information is integrated and accessible to employees on the road, with our SM-Mobile App or in multiple office locations, with the cloud-based online software. Real-time updates equate to good customer service. When a client asks something related to past jobs, employees know the answer without having to look for it. An appointment can be booked in just a couple of minutes. Best of all, your plumber won’t miss the set appointment because reminders are set to alert the plumber on their mobile device. Plumbing business software can help you reduce costs by helping your business transition to a paperless environment. The biggest advantage of paperless software solutions is that your employees can take notes on clients, report on projects, complete and adjust inventory, fill out forms, collect signatures and process payments – all using the SM-Mobile App, while on the road or at the job site. No more misplaced, files, lost forms, and that mountain of paperwork can be a thing of the past! Best of all, using Scheduling Manager software will lead to satisfied clients. Customers will appreciate how easy it is to book an appointment, how easy it is to receive and pay invoices, and your employees will be more efficient and happy because transparency and communication is easy. A plumbing business software is an investment. Use it correctly and it will pay for itself several times over. There are also the man hours that you’ll save. This means there will be less waste of company hours and materials. “I was looking around for more than a year for schedule program for our plumbing company in Toronto, Canada. Nothing was matching our needs.Finally, I chose Thoughtful Systems’ Scheduling Manager. We requested a lot of extra features – phone module, different reports to make quality controls for our plumbers, ability to change the crew every time we need (to have the chance to find who was at that job site and be flexible with switching the plumbers).